Staying happy well into old age means being able to do the things we love. Unfortunately, our health can get in the way. From medical problems to mental decline, many seniors end up having to alter their lifestyle, even though they don’t want to. No matter how old you are, there are a few things you can do to ensure you’re able to enjoy your current lifestyle as long as you can. As we get older and we rise up the corporate ladder, we get paid more. As we get paid more, our cost of living tends to go up. That’s just fine up to a certain point, but as you start to go over the hill, you have to start thinking about ways to stabilize your income for retirement. Find ways to reduce medical costs: Eat healthy food, get plenty of exercise, and you can reduce the trips you take to the doctor. Reduce your prescription costs: As you age, you’ll likely have more prescriptions. Make sure you keep costs low by looking for prescription coupons online. Downsize your home: Once your children have flown the nest, consider downsizing to a smaller home or moving into a townhouse. Don’t forget to take advantage of senior discounts when you get older! They can help you save money at restaurants, movie theaters, and more. Exercise is important no matter how old you are, but its effects become more pronounced the older you get. You probably already know the importance of physical exercise. Even just 30 minutes a day will do, and it doesn’t have to be rigorous exercise either. 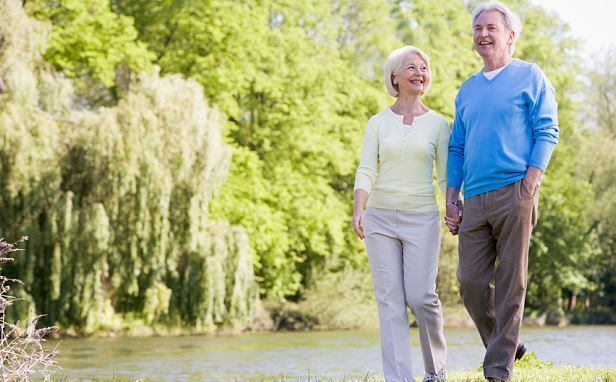 Just a half an hour of walking can provide you with plenty of health benefits. Playing games can help too! Try a brain games app or sit down and play a board game with friends and family to keep your mind sharp. As we get older and older, our health can decline no matter how hard we’ve tried to maintain our lifestyle. That’s when a medical alert system can be a godsend. A medical alert device with fall detection can allow you to continue living in your home well after others end up in the nursing home. It is an especially good idea for those who live alone and want to continue living independently. You deserve to lead the kind of life you want to lead no matter how old you are. With these tips, you can ensure you get to live the way you want well into old age.